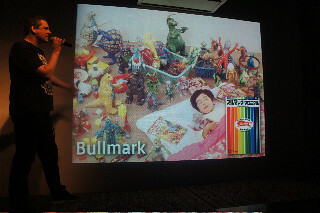 “What is Kaiju?” at PechaKucha Tokyo, originally uploaded by datadub. Cyberius.droid13 was originally created by Pr. Arkaroy at Kinetic Organic Laboratory (KO-lab). 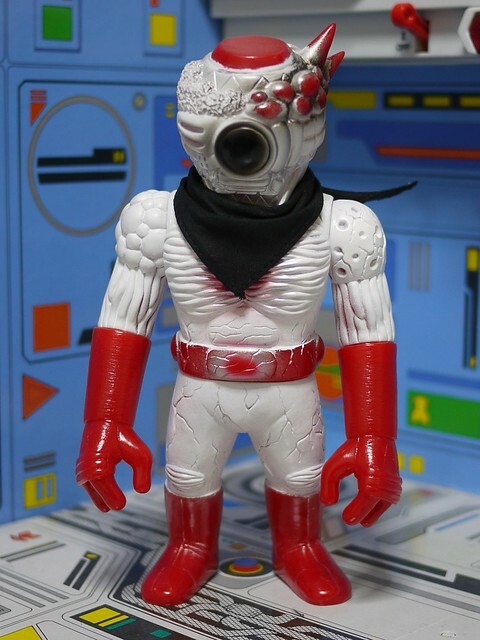 In an unfortunate lab accident, he went off his original programming becoming a rogue agent calling itself Cy’13 and engaging in dastardly acts of malice and mayhem. One of his hobbies is ripping huge holes in the fabric of the spacetime continuum just to see what happens. In one of these experiments, a shard of his being injected itself into the Mutant Zone colliding with a Mutant Vegetable known as Chaos. This resulted in the manifestation known as Cy’Os. This version of Cy’Os – which I consider the “definitive colorway” – was released at Superfestival 55. There are a few pieces remaining so any interested parties should drop me a line at datadub(at)gmail.com. They are $77 shipped worldwide. P1030320, originally uploaded by datadub. P1030316, originally uploaded by datadub. P1030324, originally uploaded by datadub. Superfestival 56 Cy’Os, originally uploaded by datadub. Through the power of the diabolical Dayripper device, Evil Genius Robot CY’13 has dispersed his existence across the dimensions. 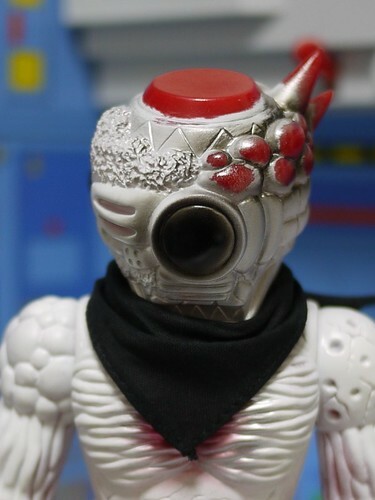 One shard of his being has manifested itself in a world known as the Mutant Zone, where it has infested the body of a Vegetable creature known as Chaos. Behold Cy’Os! Half machine – Half vegetable – 100% insane.